In the early days of SOX implementation, Dresdner Kleinwort (subsequently to become part of the investment banking arm of Commerzbank) focused on ensuring that they met minimum requirements. Although this was successful, it was not without challenge. Maintaining SOX control documentation and monitoring controls was manual, inefficient and lacked organisation. Data became de-centralised and fragmented in spreadsheets, documents, databases, emails and SharePoint sites, with large amounts of evidence kept in hard copy. This made reporting difficult and analysis near impossible. In addition, external auditors were starting to identify issues, mainly because control owners had insufficient evidence that the control had been properly performed and signed-off in a timely manner. Cost of compliance started to rise: the time spent by audit and control owners recreating history was substantial and seen as a burden within the business functions. Dresdner Kleinwort sought to solve all these problems by implementing ICE and following the successful implementation in London, ICE was rolled out to the key Frankfurt, New York and Tokyo locations, becoming a true Global SOX Compliance Framework for the Investment Bank. ICE is now used by over 1,000 users in Commerzbank worldwide, maintaining thousands of controls which are performed, documented and monitored on a daily basis. Control failures due to missing evidence fell from 40% to 4%. With auditors able to access the application anywhere in the world, there has been a significant reduction in internal and external audit effort. 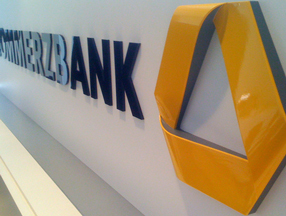 According to Ian Smith, UK CFO & General Manager, Commerzbank London, “ICE has significantly improved the effectiveness and transparency of the control environment within the Investment Bank. It is now a vital tool embedded into the working practices across the back-office.” . Contact us today to arrange a demonstration of how ICE could streamline governance, risk and compliance in your organisation.